James “Bud” Keating passed away peacefully on April 7, 2019 surrounded by his loving family. He is preceded in death by his parents James and Mary Keating and brother, Joseph. James was born on February 8, 1931 in Bronx NY. He spent the early years of his life growing up in Jackson Heights, Queens NY. James went on to serve stateside in the United States Marine Corps, something he was very proud of right up to his passing. On September 24, 1955, he married Catherine “Kay” Keating. James and Kay raised their children in Guilderland NY, where they resided for the past 48 years. 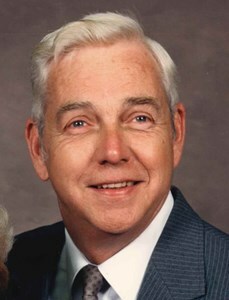 James had a distinguished career of over 30 years with AT & T, until his retirement in 1985. James was a loving family man, father and grandfather. James and his wife Kay cherished every moment they spent with their children and grandchildren. He also enjoyed creating, building and fixing hundreds of house, electronic and automobile items. This earned him the nickname “The Wizard” from family and friends. Whenever James was called by this nickname, it always brought a smile to his face. James is survived by his wife of 63 years, Catherine " Kay" Keating and six children, daughters Eileen Finn, Jeanne Milks, Laurie LaFreniere (her husband Timothy and son Joseph) and sons James (his daughters Olivia and Erin), Robert (his wife Tracie and sons Andrew, Evan and Jordan), John (his wife Amy, daughter Katie and son Jack). He also survived by a sister, Marion and several nieces and one nephew. Visitation will be held at Christ the King Church, 20 Sumter Ave, Albany on Thursday, April 11, 2019 from 9:00 am to 10:00 am. A Mass of Christian Burial will be offered at 10:00 am. Interment will follow at Gerald B.H. Solomon Saratoga National Cemetery, 200 Duell Rd., Schuylerville at 12:30 pm. In lieu of flowers, donations can be sent the Alzheimer's Association of Upstate NY, 4 Pine West, Plaza #405, Albany, NY 12205 or Christ the King Church, 20 Sumter Avenue, Albany, NY 12203. Add your memories to the guest book of James Keating. Semper Fi my fellow AT&T GE National Account Team Member may you have “Fair Winds and Following Seas”. So sorry to hear of Mr. Keating's passing. He was a good man and I always enjoyed seeing him as I grew up in Guilderland. My sincere condolences to Kay and the entire family. May you all be comforted by many good memories.